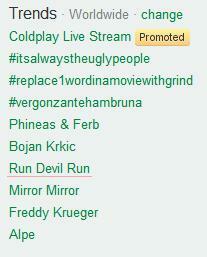 Performances From Music Bank in Tokyo & “Run Devil Run” Trending! If you recall, we posted some of the girls’ performances at the K-POP Festival (Music Bank In Tokyo) last week, but this morning, their performances were officially broadcasted on KBS. Check out the performances! Hey somewhat off-topic here, but can someone verify? I was watching the RDR perf on this link (http://www.youtube.com/watch?v=lM-rMs-y5wI&hd=1) when I notice, from 1:24-1:27 someone who looks incredibly like Shirley Yeung, a Hong Kong actress. Is that really her? If it really is, then it’s another celebrity SONE! In a K-Pop concert in Japan waving SNSD’s lightstick! I NEED A GIF FROM THAT LOL! LOL. Loving Soshi and UKISS dancing on those stairs. watched this show broadcasted live last night!